On this page will be links to Curtis' Ancestors. 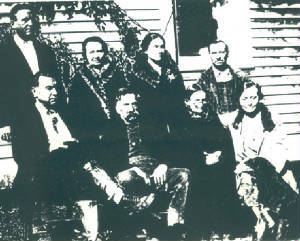 The families from places like Eastern Kentucky, North Carolina, Virginia, Maryland and others. Every effort has been made to exclude living people from the descendant reports in the above links for privacy purposes. If you are a living descendant and find your name on one of the genealogy reports please contact us if you wish to have your name removed. As there are many reports on this web site, please make a note of the surname page you were viewing as to where you saw your name so that we will know which genealogy report to edit. If you are not sure that this is where you want to be or if you are not sure where to find the surname that you are looking for click on the Surname List. That will direct you to a page of alphabetized surnames.